Quick and simple to adapt to each work mode. Stabiliser bar and restraining straps for extra safety. 3m Combination ladder Hire are a great multi tasking piece of equipment. They can help you to complete your projects by giving 4 ladders in 1 unit. See details below. Stepladder – safe working height 3.398m, open height 2.946m. Extending stepladder – safe working height 5.322m,open height 4.870m. Stairway ladder – safe working height 4.222m,open height 3.771m. 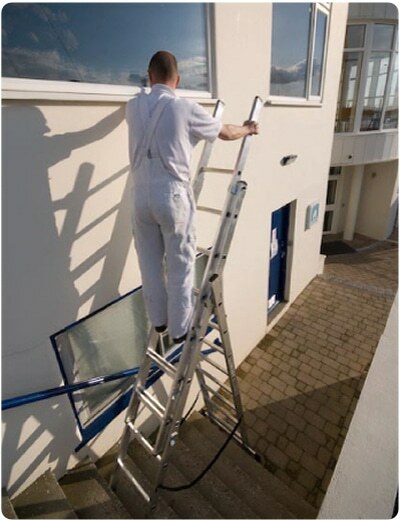 Extension ladder – safe working height 7.221m, open height 6.762m.